In late April 2009, taking full advantage of a failing state, the Pakistani Taliban were sixty miles away from the capital of nuclear-armed Pakistan. 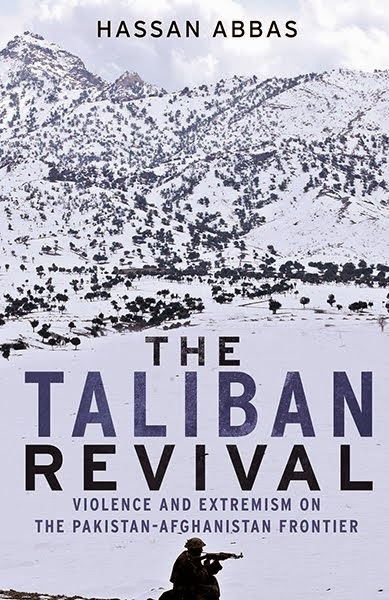 Pakistan had capitulated in the Swat Valley by granting carte blanche to the Taliban to exercise administrative and judicial control, thus placing even more territory under direct Taliban rule after Pakistan lost control of most of its tribal agencies abutting Afghanistan. Two months after an unprecedented military operation, however, Taliban forces were in retreat and more than 2.5 million denizens of the Swat valley were displaced. After five years of a failed counterinsurgency policy, the Pakistani military was finally willing to strengthen the “lessons learned loop” in its decision-making process. While this transformation is anything but complete, the civil-military complex in Islamabad has moved away, albeit slowly, from using unrestrained brute force toward using stabilization operations that focus on protecting civilians and the economic infrastructure. Moreover, Islamabad has upgraded the Taliban to the status of Pakistan’s number one enemy, even while it alleges Indian support for the insurgency in Baluchistan and its indirect support in terms of arms to militants in Pakistan’s northwest. There are more positive signs. For example, President Barack Obama is pushing for a regional approach (AfPak) and a broad assistance package (socio-economic and military assistance), both of which are resonating in Islamabad – especially the American commitment to help rehabilitate Pakistan’s approximately 2.5 million internally displaced persons (IDPs). At present, more than 95 percent of the Swat Valley and its environs are under Islamabad’s control as thousands are being repatriated back to major cities like Mingora. Furthermore, Pakistan’s current military success against the Taliban is garnering public support, and its shift toward population security abetted by the use of precision weapons is increasing troop morale and uniting mainstream political parties. Positive developments include the timely support offered by the United States Congress, the Pentagon, and the State Department to bolster Islamabad’s efforts to win this war. Moreover, Pakistan has shifted its threat perception toward the Taliban and away from India even while issues of accountability, trainers, and equipment remain unresolved. The return of the Congress government in India, with a greater majority and willingness to work toward Pakistan-India peace process, raises hopes for an extended détente between the two countries. The recent meeting between Pakistan’s Prime Minister Yusuf Reza Gilani and India’s Prime Minister Dr. Manmohan Singh on the sidelines of the Non-Alliance Movement meeting at Sharm El-Sheikh, Egypt, has broken the stalemate between the two nuclear states after last fall’s terrorist attacks in Mumbai. The joint statement issued clearly states the common threat from terrorism and the need for bilateral talks to resolve all outstanding issues, including Kashmir and India’s suspected involvement in Baluchistan. If this process continues, Pakistan will be able to move more troops away from its eastern border with India and toward its western border to bolster its ongoing campaign against the Taliban, which the American military will welcome. 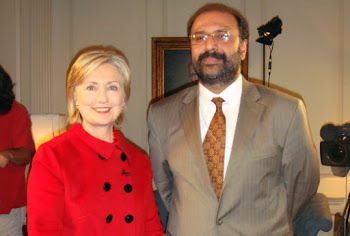 In addition, there is reason to believe that India’s recent change of heart was influenced by United States Secretary of State Hillary Clinton’s visit. The help should be in the way that advance technology should be provided to Pakistan, crossing the border, and hitting in the Pakistani areas by American forces is not accepted being an independent and sovereign state.